CMDA has partnered with SAIT to support Scholarship, Apprentice and Youth internship programs. SAIT offers diverse programs in the Automotive field – learn more about SAIT’s diverse automotive training programs online. One of the largest car and truck exhibitions in Western Canada, this Calgary International Auto Show presents the latest in automotive innovation and design and showcases a variety of advanced & exclusive vehicles. CMDA was formed in 1951 with the goal of bettering the community and the industry. With this goal in mind, we work to provide you with up-to-date vehicle information and to help you find a unique car dealership in the Calgary area that will meet your needs. As a non-profit, our only directive is to help make the process of purchasing a vehicle easy, safe and efficient. 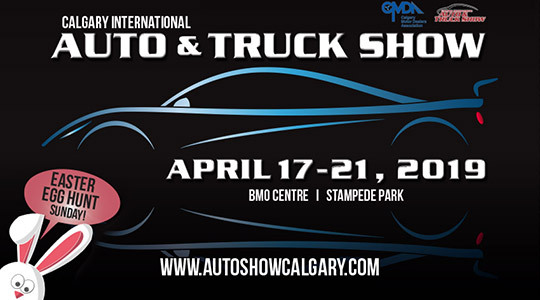 Apart from our primary services, CMDA also helps host important automotive events including the Calgary International Auto & Truck Show and we support a number of charities in order to benefit the local community. Our Vehicles and Violins Gala has helped raise over $4 million for a variety of charities since it began. The Calgary Motor Dealers Association (CMDA) is a non-profit organization that represents 84 franchised car dealerships in the City of Calgary. We make it easy for you to find a new or used car in Calgary by providing you with the most comprehensive source of vehicle information in Alberta. We help you search for new cars online , and you can also browse our members’ inventory of used vehicles to find a car and a Calgary car dealership that works for you. We are closely affiliated with the Motor Dealers Association of Alberta (MDA), which has 370 franchised new vehicle and heavy truck dealership members in the province. We can help you find popular models of new and used cars, trucks, SUVs and crossovers in Calgary by all major manufacturers including Acura, Audi, BMW, Buick, Cadillac, Chevrolet, Chrysler, Dodge, Fiat, Ford, GMC, Honda, Hyundai, Jeep, Kia, Lexus, Ram, Toyota, Volvo and more. Learn more about the Calgary Motor Dealers Association: we are more than just a service to help you search for vehicles online. We also work for you by lobbying to provincial government to improve quality standards and make purchasing vehicles and insurance more affordable. If you’re thinking about a career in the Auto Industry, CMDA will help you get started. Learn more about careers in service, autobody repair, parts, sales, administration, management and finance and insurance. Learn where to start and what path to take so you can reach your goal.